Why support healthy skin with supplements? Because healthy skin is challenged every day by wind, air and sunlight. 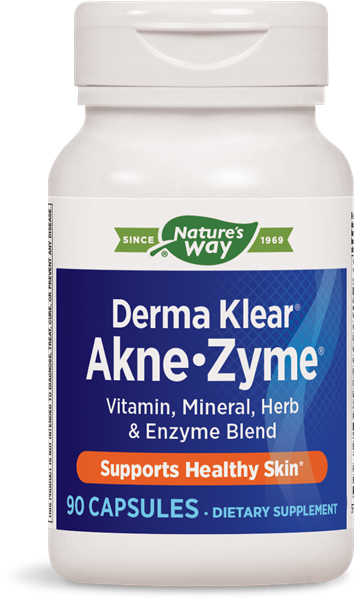 Why use Derma Klear® Akne • Zyme? Take 2 capsules daily. If pregnant or lactating do not use. If taking any medications, consult a healthcare professional before use. Discontinue use if experiencing persistent gastric discomfort. May cause temporary gas.